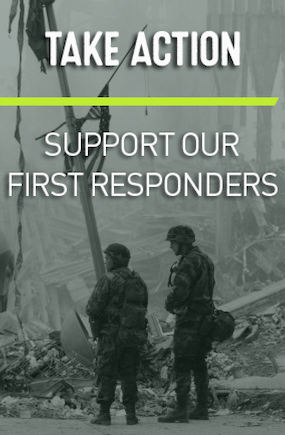 Last week, IAVA joined forces with 9/11 first responders on Capitol Hill to try to convince lawmakers to permanently extend the Zadroga health program. This act is part of a promise that America made to their heroes that ran into the chaos on 9/11 to rescue victims, clean up New York City and help piece our nation back together. This act, which provides care and compensation to thousands of survivors and first responders, including veterans who were activated in the aftermath of Sept. 11, was expired last month. 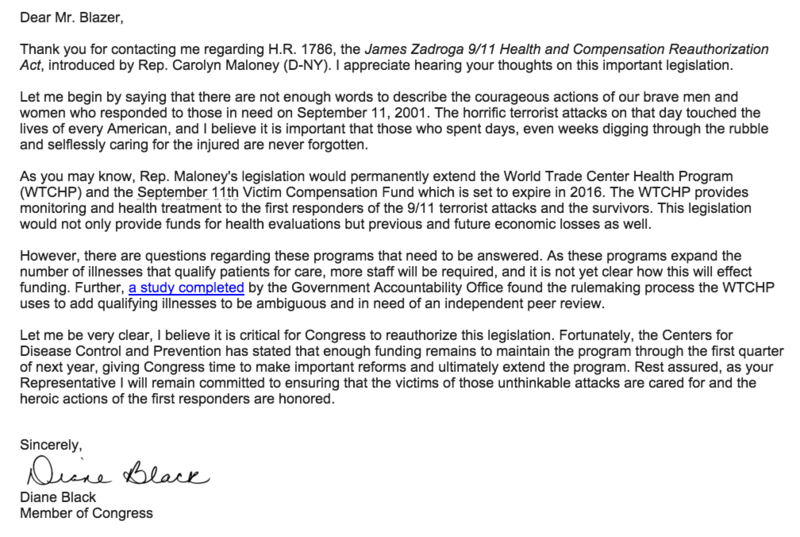 I emailed Tennessee Rep. Diane Black this week to ask why she hadn’t co-sponsored the extension of this common sense bill, and I wanted to share with you her response. We need your help to hold her and other members of Congress accountable for these actions. This was a promise we made to these first responders and now our Congressmen are going back on that promise. 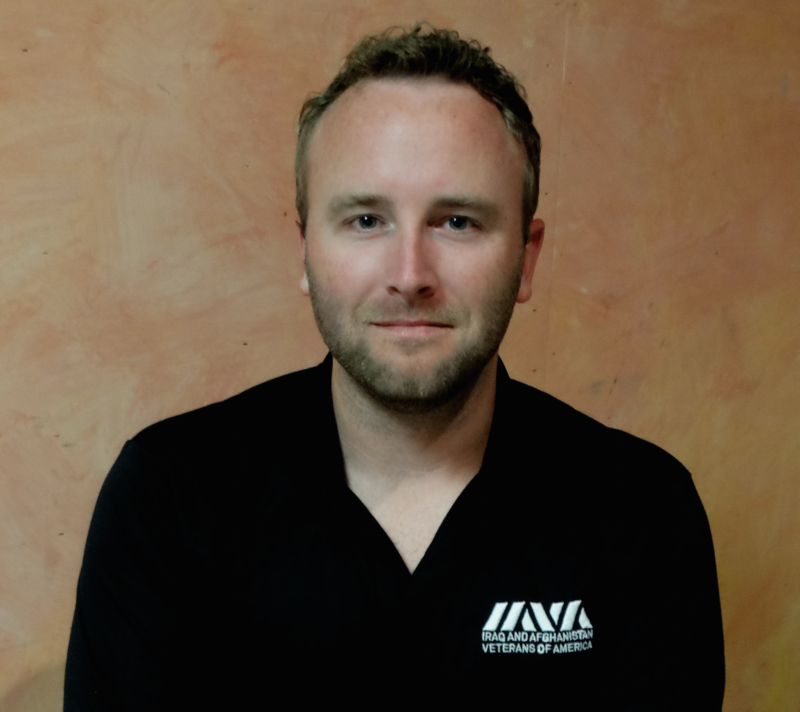 Here is how you can help: IAVA is a nonpartisan organization, but that doesn’t mean we can’t impact the political process. We have set up a “Take Action” page to allow you to write your Members of Congress, urging them to support the Zadroga bill. Our members have already sent more than 3,800 letters to Congress. If your representatives in DC aren’t yet on the bill, click here to email your members today!